LAS VEGAS (October 26, 2015) – The 2015 Poker Hall of Fame Class has its newest members as Jennifer Harman and John Juanda gain entrance into poker’s most exclusive club. The two become the 49th and 50th individuals to be inducted into the Poker Hall of Fame. The two were nominated by the public and voted in by a 39-person panel made up of existing Poker Hall of Famers, and a Blue Ribbon Media Panel, it was announced today by the Poker Hall of Fame Governing Council. Harman and Juanda will be inducted officially on Friday, November 6 at 7:00 pm at Binion’s Gambling Hall – the birthplace of poker in Las Vegas – and the original home of the World Series of Poker (from 1970-2004). The Poker Hall of Fame induction ceremony and dinner will once again occur inside the Longhorn Room, which was originally called Benny’s Bullpen. Benny’s Bullpen hosted the very first final table of the WSOP in 1970. Harman has won both her WSOP gold bracelets at Binion’s and three of Juanda’s five have been won there as well. The Poker Hall of Fame Gala kicks off the November Nine festivities, taking place before the 2015 World Series of Poker Main Event final table gets underway at the Rio All-Suite Hotel & Casino (Nov. 8-10). The Poker Hall of Fame Governing Council would like to recognize and congratulate the other 2015 finalists all whom remain eligible for future induction: Chris Bjorin, David Chiu, Bruno Fitoussi, Carlos Mortensen, Max Pescatori, Terry Rogers, Matt Savage and the late David Ulliott. Jen Harman has a long list of tournament accomplishments, including more than $2.7 million in earnings, two WPT final tables, 12 WSOP final tables, and the honor of being the first woman to win multiple WSOP bracelets in open events. However, what might be even more impressive than her tournament results is her skills in the cash games. The Reno, Nevada native has been a staple in the biggest cash games in Vegas for more than a decade and is one of the only women to play cash at such high stakes. The mother of two also dedicates much of her time to using poker to raise money for charitable causes, including the National Kidney Foundation and the Nevada Society for the Prevention of Cruelty to Animals. Johnson “John” Juanda is a 44-year-old Indonesian-born poker pro who doesn’t do much talking, but his poker resume speaks for itself. He has amassed more than $17 million in tournament winnings, including five WSOP gold bracelets, an EPT title, plus WPT, APT, PPT, and many other tournament victories. He’s also won wherever he has went, with victories in Europe, Australia, Asia and North America. A long-time U.S. resident, Juanda came to the United States in 1990 to attend college at Oklahoma State University and then went on to receive his Master’s Degree from Seattle University. But since 1997 John has made his income on the felt and in so doing has cemented himself as one of the most consistent and successful players of the last two decades. The Poker Hall of Fame, established in 1979, was acquired by Harrah’s Entertainment (now Caesars) along with the World Series of Poker in 2004. Though the Hall of Fame is virtual in nature, its membership includes poker’s most influential players and other important contributors to the game. There are now 25 living members. The Poker Hall of Fame, established in 1979, was acquired by Harrah’s Entertainment along with the World Series of Poker in 2004. Though the Hall of Fame is virtual in nature, its membership includes poker’s most influential players and other important contributors to the game. There are now 25 living members, and 48 members have been bestowed the honor of Poker Hall of Famer. The Poker Hall of Fame traditionally elects one or two members annually. 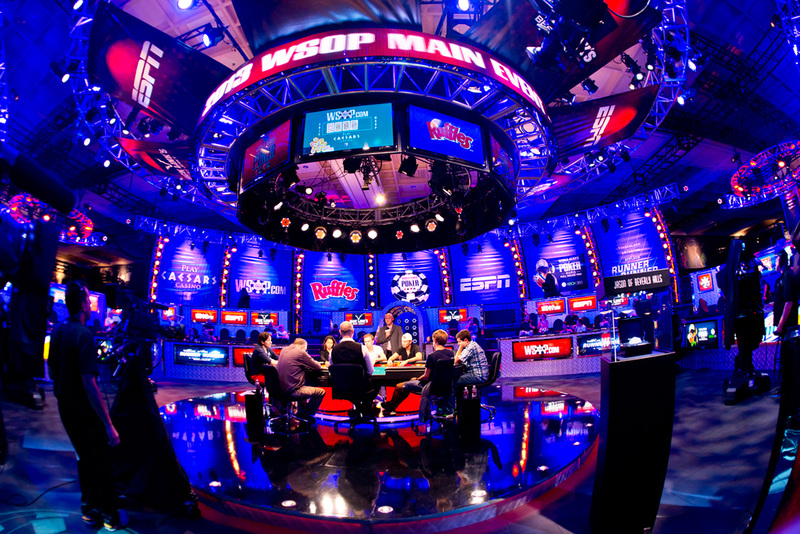 The enshrinement ceremony is now held in concert with the final table of the Main Event of the WSOP, held each Fall in Las Vegas.